The museums houses never-before-seen Brunel artefacts, together with his original offices restored as they would have been in the 1800s. Alastair Stannah commented: “When we were first approached to install lifts on Brunel’s ship we could not help but look at our own company heritage. “In 1867, whilst Brunel’s engineering achievements were changing life in Great Britain, my great, great, great grandfather, Joseph Stannah was establishing his lift engineering company on London’s dockside, having been inspired by Brunel. The latest lift installed in the ‘Being Brunel’ museum is a Stannah Piccolo lift; ideal for this situation as it is between the new building and old buildings in a limited space and it provides access to both parts of the Brunel story. 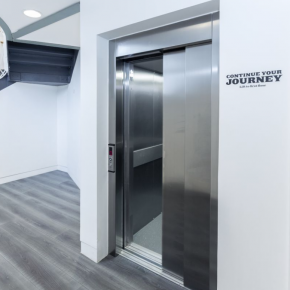 The four person, fully automatic lift has a generous platform so it can be used by wheelchair users independently, whilst the lift’s traditional sliding doors allows maximum space for entry and exit on both floors of the museum. 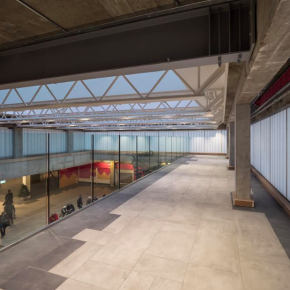 The lift is wall mounted within the new section of the building, its stainless steel and light grey finish complimenting the aesthetics of the stairs and landing areas and contrasting with the colourful, decorative interior of the fascinating museum. With an ever increasing footfall, it is vital that all the lifts on site are fully operational at all times. Stannah provide lift maintenance 365 days a year to the SS Great Britain Trust’s portfolio of lifts from their Bristol service branch and have done so since the first lift was installed. This is vital to the whole site and helps to meet the Trust’s mission for all round accessibility. 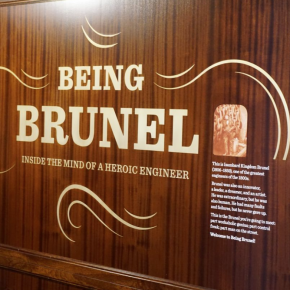 ‘Being Brunel’ is not only a celebration of the man himself, but also a platform for inspiration and opportunity for Britain’s emerging young ‘STEM’ (Science, Technology, Engineering and Maths) students in ‘The Year of Engineering 2018’. 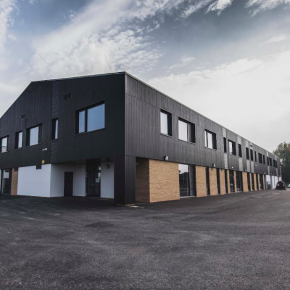 · The Future Brunels programme aims to inspire and enthuse young people with science, technology, engineering and maths (STEM) throughout their time in secondary school, working closely with industry. 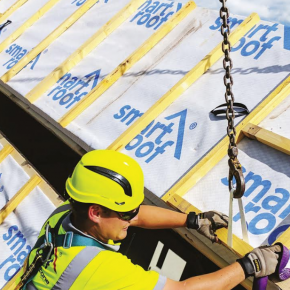 · The Joseph Stannah Foundation promotes STEM careers via STEM ambassador employees, sponsors Arkwright Scholars through university and invests in engineering apprenticeships.